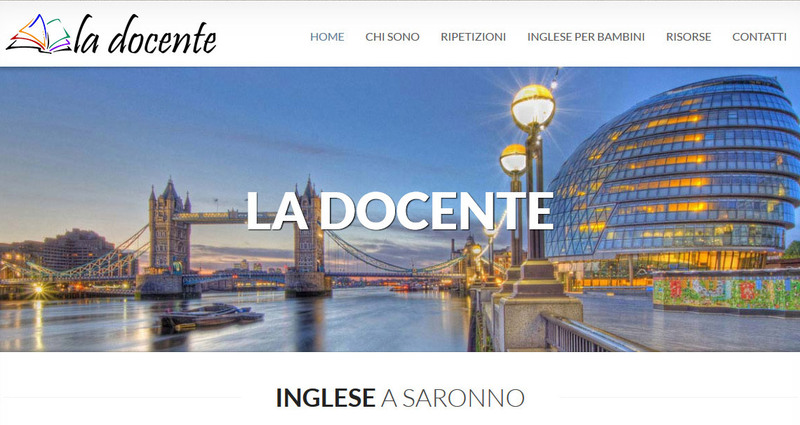 Created by us in 2014, the La Docente website was created for a freelance English teacher in the Arese and Saronno area of northern Italy who specialises in providing language lessons for young children. This teacher wanted a website which would generate clients, but which would not require her to spend time maintaining it. She wanted the site to generate enquires from interested clients, either by email or by telephone, and to functions as a general marketing tool. We chose an HTML website for the design, which meant the website would be easy to use, be quick loading and reliabile, and require only minimal maintenance. The website is managed and hosted by us on our own servers and has been a great success. Costs for a similar site; approximately £350 - £600 depending on page numbers, required features and functionality. The BeenDesigned Design Studio consists of a small group of freelance designers based in the UK, Italy and Spain, offering personalised services for businesses, specialising in websites for catteries, kennels and language schools.